Hold on to your ovaries, folks — the cutest photo ever has hit the Internet. 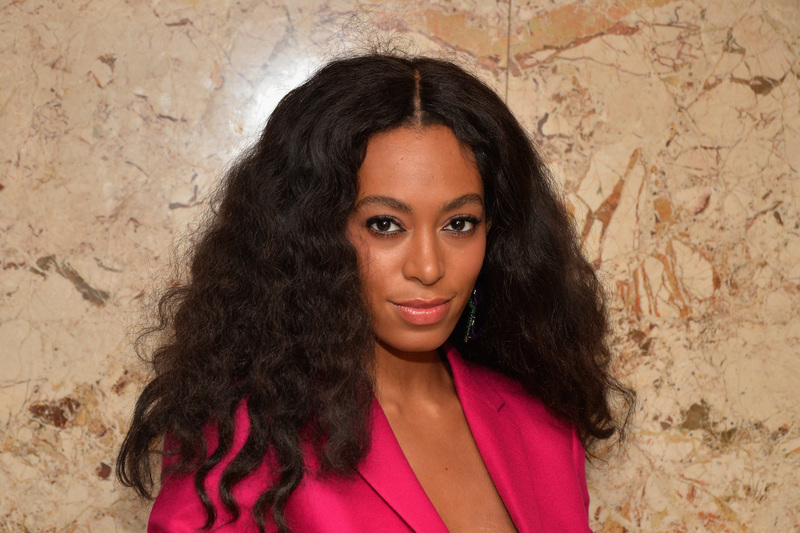 Solange Knowles posted a pic of Blue Ivy giving her a little makeover in honor of her niece's third birthday and it is so, so adorable. Like, melt-your-face-off adorable. Cuddly kittens have NOTHING on Blue. Beyonce's ever stylish sister uploaded a snap of Blue Ivy brushing makeup on her aunt's eyelids with a serious eyeshadow brush. Based on the outfits worn by the duo — a sleeveless white garment for Solange and a silvery dress peeking out under a little sweatshirt for Blue Ivy — the image could have been taken before Solange's wedding to music video director Alan Ferguson. That toddler has so much style in her genes that her aunt trusted her with a makeup brush on her wedding day. As we know, Solange looked incredible during the ceremony and reception, so perhaps Blue Ivy has a career as a makeup artist in her future. With Beyonce and Jay Z for parents, this kid stood literally no chance at being "average." Even if she doesn't become the next Pat McGrath, at least we'll always have this super sweet reminder of what could have been.